Our camp is located at Bocquene Lake, with a fly in at Fort Smith in the Northwest Territories. Bocquene Lake is located south of Fort Smith, NWT, just outside Wood Buffalo Provincial Park. Have you ever wanted to be the one who could tell the stories that interest everyone at family gatherings? Impress your friends with trophies? Make memories that will last you a lifetime? 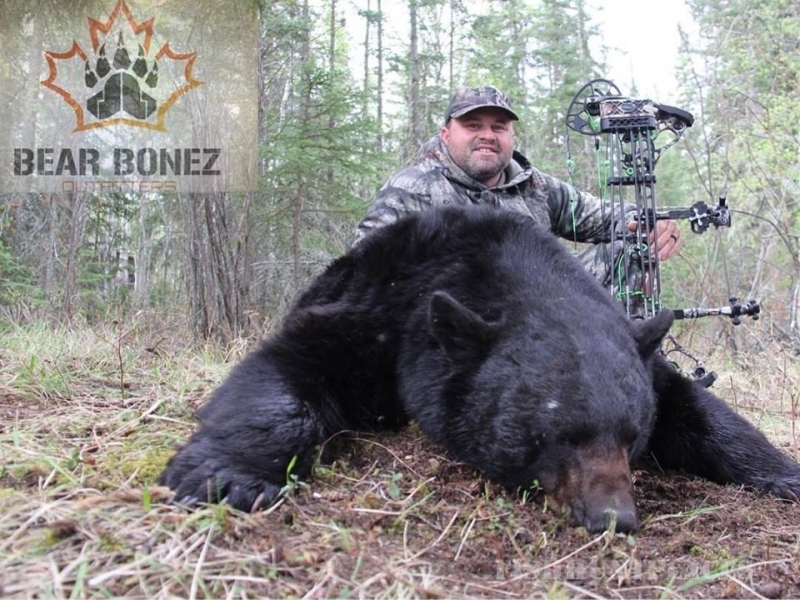 Here at Bear Bonez Outfitters, we can make all that and more happen. 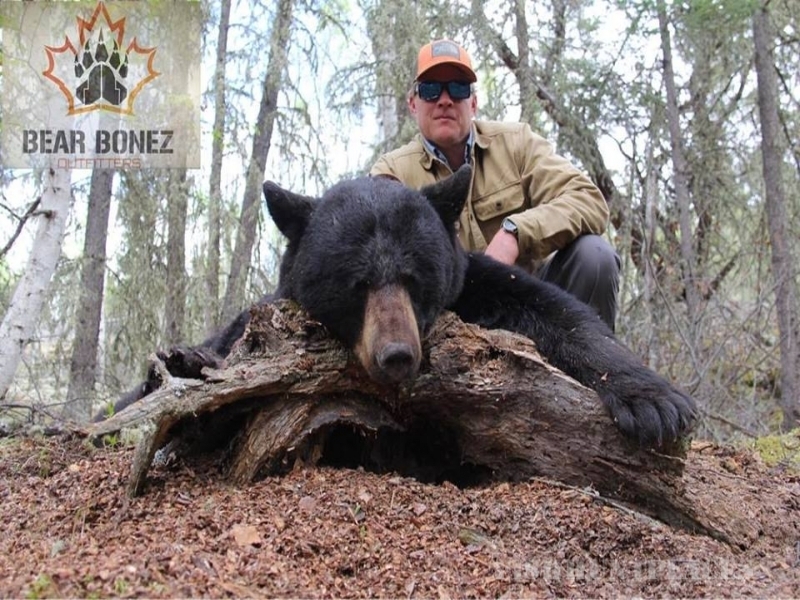 As an Alberta based hunter outfitter, Bear Bonez is built on both professionalism and fun – something learned through a lifetime of hunting. I was taught from a young age that hunting is a family experience. 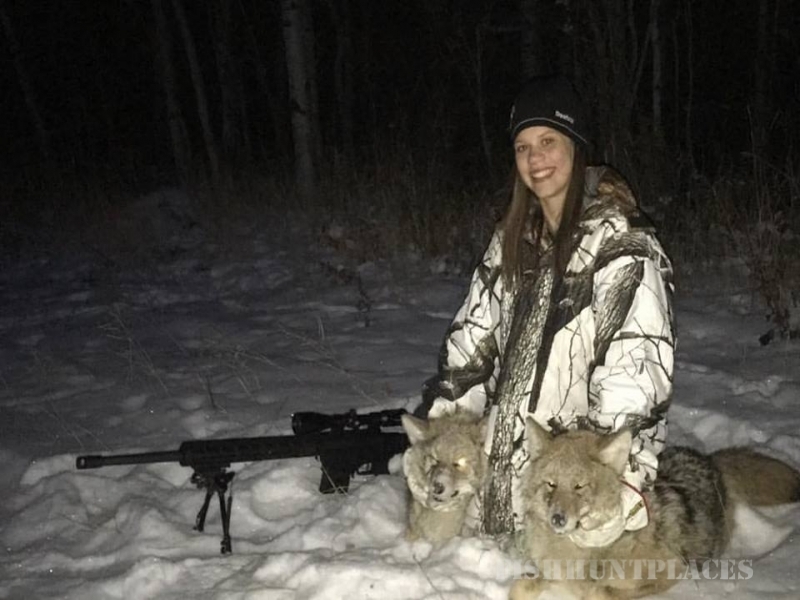 That is to say, who you hunt with, who you trap with, and you who track with becomes just as close to you as your family. Lucky for me, when I first began my hunting career, my younger brother Dylan was my constant sidekick. 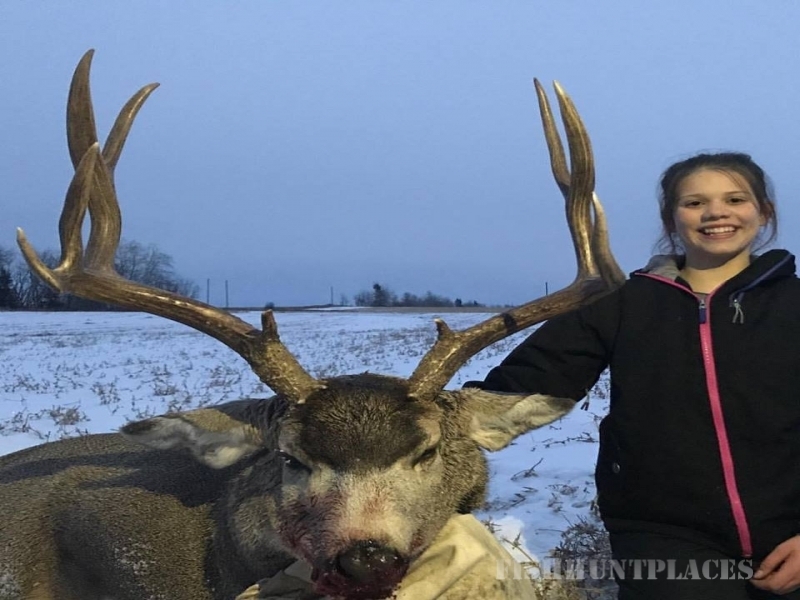 It was with him that I learned how to bait using my father’s oldbait stations, and how trust in the many situations that occur when hunting in the wilderness. Such trust never comes easy between brothers, but when it does come the story you get to tell is unique. My brother and I had been wanting to set baits for quite a while, and one morning we got the chance. The problem was a winter snow storm; it meant shoveling all day to set out Baits. Once we had shoveled our way to the site, we managed to come across a black bear — now was our chance. I lined up my shot, took it, and the bear kept lumbering on. Had I missed? It wasn’t until later that we came across the bear dead in its den, a prize for the taking. But here we faced another problem; the difficulty of retrieval. With my brothers help, I managed to wedge myself into the den and began yanking on the bear to pull it out. All the while Dylan held on to my feet, just in case I got myself stuck or the bear (had it been playing dead?) decided to wake up. Thankfully nothing like that happened, and we managed to pull the bear out — a success that cemented our brotherly trust even more, and gave us a prize to take home. Fishing – a most relaxing and attentive sport. Our camp, located at Bocquene Lake, offers one of the quietest fishing destinations I have ever been. With limited access, and no one around for 60 miles, there is never any chance of over-fishing at this destination. 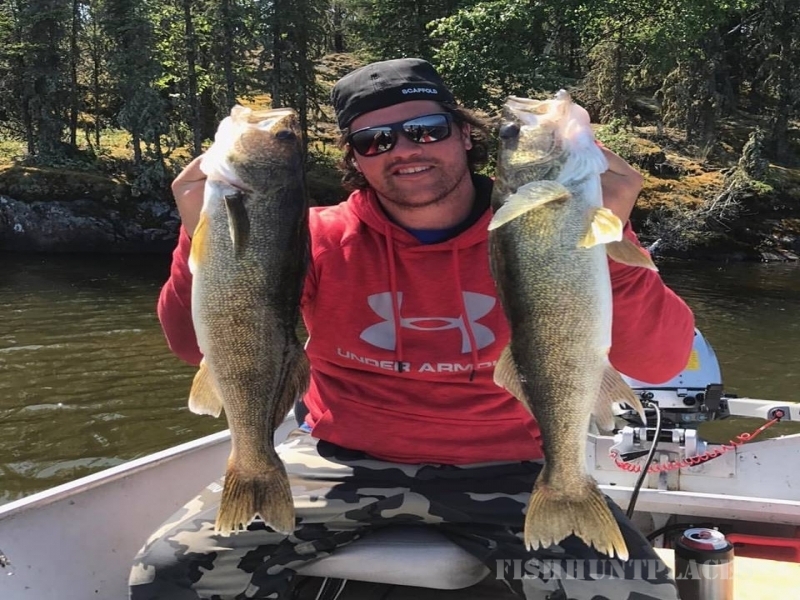 And as for getting there, don’t’ worry; we offer transport via airplanes, using floats, to get you to one of the best fishing spots, offering large populations of both Pike and Walleye.